Lens: Super clear tempered glass. 2. Made of shock proof tempered glass and comfortable super-soft silicon. 5. Comfortable design structure, and easy to clean. 1. Please avoid the Diving Mask exposure to the sunlight. 2. Please keep clean of the swimming mask, keep away from dirt and grease. 3. We don’t recommend that you wear your glasses when you use the diving mask. 4. Please don’t use hands or other sharp tools to rub the inner side of the glass. 5. 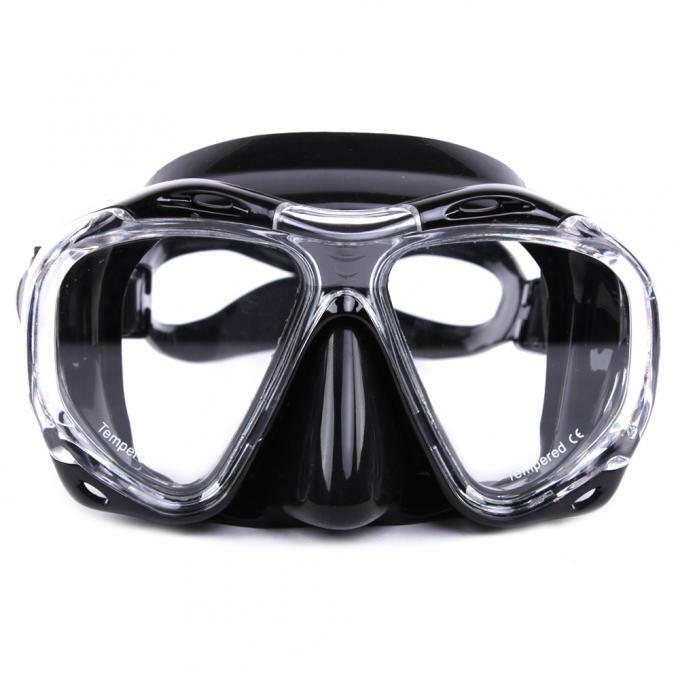 Please clean the dive mask with clean cold water and dry naturally after use, and pack well in box.